Hospice of the Chesapeake is excited to announce that Mary Jermann has joined the nonprofit as its new Director of Volunteer Services, effective July 6, 2017. Jermann has nearly three decades of corporate experience, including her role as a Vice President at T. Rowe Price and the Director of Operations at Kinloch & Associates, a local accounting firm. 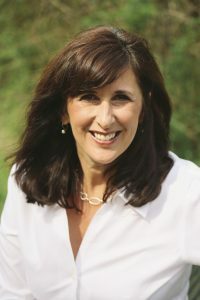 She also has considerable nonprofit experience, both as a licensed consultant for Maryland Nonprofits Standards of Excellence and as an active volunteer for several local charities, including Hospice of the Chesapeake. All of this has been funneled into her own business, MJJ Communications which she founded in 2009, choosing to focus on serving nonprofits that offer elderly and caregiver support. She brings these attributes to Hospice of the Chesapeake during a time of tremendous growth. The nonprofit recently cared for 484 patients on a single day, which represents a record for the organization. Medicare requires hospice providers to have at least five percent of patient care hours fulfilled by volunteers, a requirement the nonprofit exceeded by more than double in 2016. Jermann’s priority for her team will be to recruit, train and maintain more than 450 volunteers. These volunteers serve in many different capacities – from direct patient care that includes caregiver support, healing arts and grief support, to outreach, administrative and event assistance. Another key responsibility of the Volunteer Department is the nonprofit’s participation in the We Honor Veterans program, a collaborative effort between the department of Veterans Affairs and the National Hospice and Palliative Care Organization. The program was created to respond to the unique physical, psychosocial and spiritual needs of Veterans, who make up 25 percent of all hospice patients. Jermann will lead the committee made up of community and military members who volunteer their time to serve Veteran patients. This includes the facilitation of Honor Salutes and the organization’s signature event, the annual Welcome Home Vietnam Veterans Day. Jermann is the daughter of a decorated World War II veteran and also has a stepfather who benefited from hospice care. This, along with being a mother of a West Point graduate serving in Afghanistan, provides her a unique perspective to help promote the special needs of former military members. The mother of two grown sons, Jermann lives with her husband in Severna Park.